There is just one hotel within 30 kilometres of Paris. 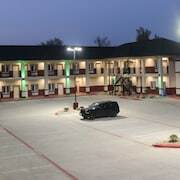 If you would like to book accommodation in this part of United States of America, Dallas is a practical option. It's 150 kilometres from Paris. 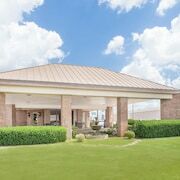 Dallas hotels include the The Ritz-Carlton, Dallas and Great Wolf Lodge Grapevine. 30 kilometres away from the heart of Paris is the Choctaw Casino Resort - Grant. Don't be a Wally by missing out on the other cool things to see and do in North Central Texas. North Central Texas is blessed with prairies, along with common North Central Texas attractions like the farms. In this part of United States of America, energetic types may try their hand at mountain biking, horse riding and shore fishing. Don't blow through before you have checked out the Crossroads Mall and Audie Murphy Museum in Greenville. 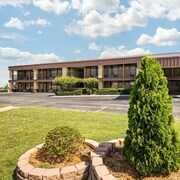 Some of our recommended Greenville accommodation options include the Express Inn & Suites and Knights Inn Greenville. 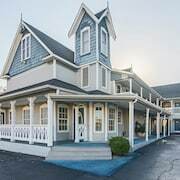 Or, you could consider staying in Sulphur Springs, 55 kilometres to the south of Paris, where you can choose from the Days Inn and Suites Sulphur Springs and Best Western Trail Dust Inn & Suites. While in Sulphur Springs, be sure to explore the Hopkins County Museum and Heritage Park and Southwest Dairy Center and Museum. Texarkana Regional Airport is situated 140 kilometres from central downtown Paris. Should you choose to stay close by, you can easily book a night at the Holiday Inn Express Hotel & Suites Texarkana East or the Hampton Inn Texarkana Arkansas.